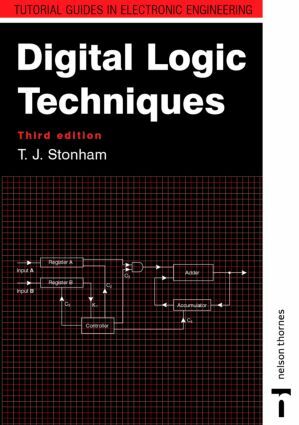 The third edition of Digital Logic Techniques provides a clear and comprehensive treatment of the representation of data, operations on data, combinational logic design, sequential logic, computer architecture, and practical digital circuits. A wealth of exercises and worked examples in each chapter give students valuable experience in applying the concepts and techniques discussed.Beginning with an objective comparison between analogue and digital representation of data, the author presents the Boolean algebra framework for digital electronics, develops combinational logic design from first principles, and presents cellular logic as an alternative structure more relevant than canonical forms to VLSI implementation. He then addresses sequential logic design and develops a strategy for designing finite state machines, giving students a solid foundation for more advanced studies in automata theory.The second half of the book focuses on the digital system as an entity. Here the author examines the implementation of logic systems in programmable hardware, outlines the specification of a system, explores arithmetic processors, and elucidates fault diagnosis. The final chapter examines the electrical properties of logic components, compares the different logic families, and highlights the problems that can arise in constructing practical hardware systems.